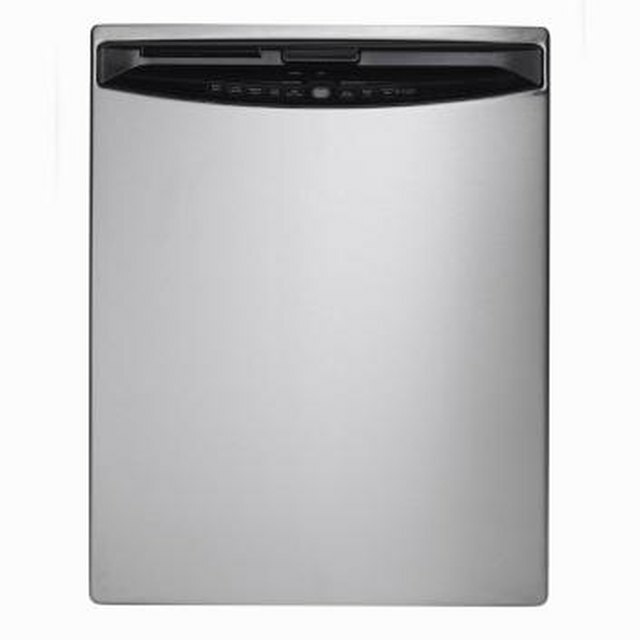 What to Do If the Dishes in a Dishwasher Turn Brown? A well can be both a blessing and a curse. The positive side is that water from a well often tastes better than that from the city. Unfortunately, well water can also have its problems. One of the biggest is the fact that it can contain large amounts of iron, which can cause stains and alter the taste of the water. Thankfully, there are ways to control iron in well water. Add water filters throughout your home. Depending on the severity of the iron in your well water, you may be able to control it by just using home filters. Filters can be installed in the plumbing, where the water enters the home. You can also install them on water heaters and faucets. Avoid using too much water on rainy days. When it rains, you will see more iron in your water. This is true even if you have filters in place. On rainy days, avoid chores that require large amounts of water, such as washing clothes. Create a schedule for chores to be done. When you have well water, it’s best to do your chores on a schedule designed to spread the chores throughout the day. This helps control iron by ensuring that you don’t use too much water at once. If too much water is used in a short period of time, the water could turn red with iron. Buy special cleaning products. Washing clothes is one of the hardest things to do when you have iron in your well water. This is especially true when it comes to white clothes. Thankfully, there are products designed to prevent iron from staining the clothing. These cleaners aren’t found with other detergents; they’re in the hardware section of most department stores. Purchase a well filter. If everything else fails, it may be time to purchase a filter for your well. A well filter will help control iron before the water makes it into the house. As with most things in life, there are pros and cons to purchasing a well filter. The pros include drinking water that is safe and preventing stains. The biggest con is the price. A decent filter can cost almost $2,000. Drought-like conditions can also cause more iron to appear in well water. Never use special iron-stain cleaners on colored clothing. Some dyes contain iron, which means the cleaner will damage the color. If your iron levels are high, you will need to change your home filters quite often. Sometimes well water can remain rich in iron the day after a heavy rainstorm. Most faucet filters can only be used with cold water.